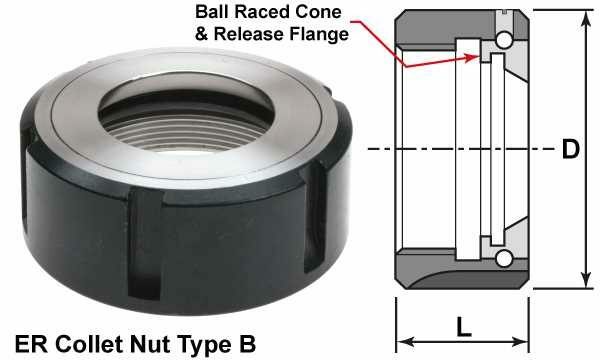 The cone and release flange in a ball bearing collet nut remain stationary relative to the collet thereby almost eliminating friction between the collet and the nut when tightening and loosening the collet. Reduced friction allows a higher clamping pressure to be applied. Easier to use - especially when closing a collet to the smaller end of its range. Compatible with collet chucks fitted with Type T2 collet nuts.